Go visit Cashville – the city where billionaires and tycoons wallow in luxury. 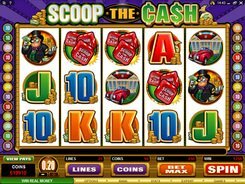 The five-reel twenty-line Cashville slot from Microgaming offers you to tap into the world of the rich and try to hit a massive jackpot of 50,000 coins. Before launching out for big wins, you should put a bet. 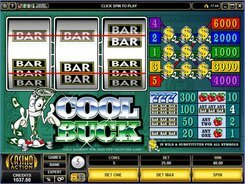 You can configure a coin size from $0.01 to $0.2 and adjust the number of coins per line with a maximum of 10 coins. 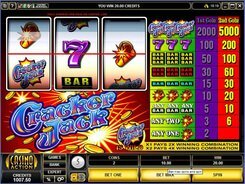 Wager the top bet of $40 if you want to capture the full benefits the slot offers. 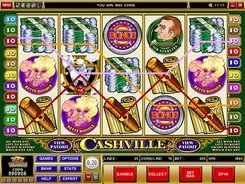 The Cashville’s symbols make up to its money theme and include Sir Stirling, Dame Von Deeds, Bettie Boodle, Bill Bullion, as well as various jewelry and accessories. Jewel-encrusted letter W is a wild icon. 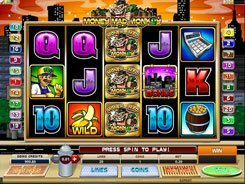 Unlike wilds in other slot machines, the W can replace money symbols only. 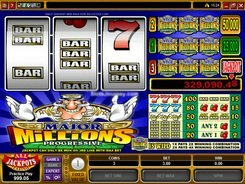 Besides, five wild symbols dropped on a payline pay out the highest jackpot of 50,000 coins. Letter S is a scatter, with these three to five granting x8 to x300 times the bet. 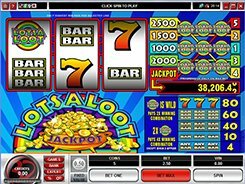 Three scatters in any position launch a pick-a-box type bonus round. Before it starts, you’ll have to select one out of four bonus features you’d want to play: drill rigs, bank vaults, business transactions or beautiful ladies. Every bonus feature offers decent payouts depending on the item you would pick during a bonus game.